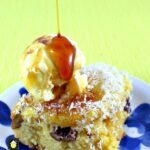 Coconut, Pineapple and Pecan Upside Down Cake Recipe! 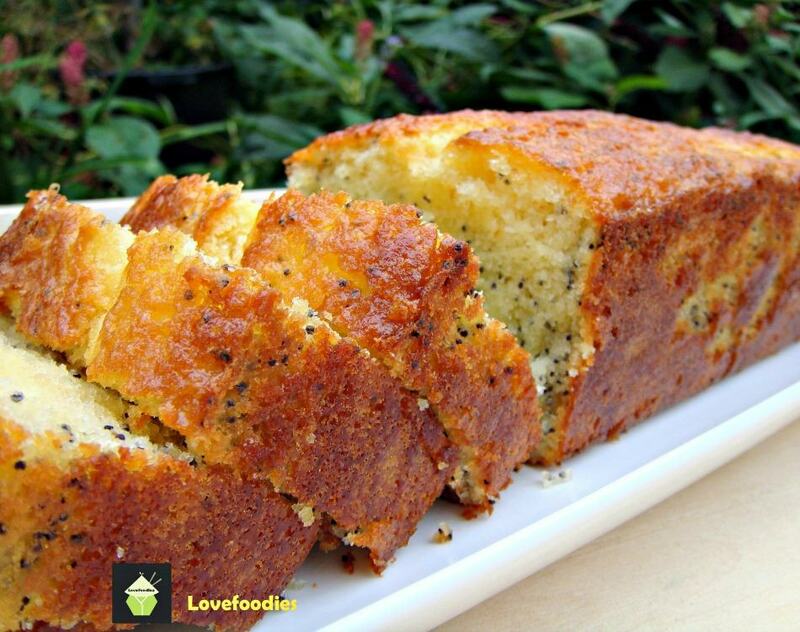 This is a really easy delicious cake recipe! It’s quick to make and doesn’t require much effort at all. 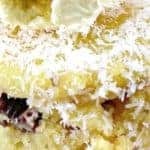 Another benefit is it’s easy on the purse, and most of us will have the ingredients in our pantry, so it’s even a recipe you could make when you get the urge for something sweet, provided you have some pineapples and coconut milk hanging around in your house. 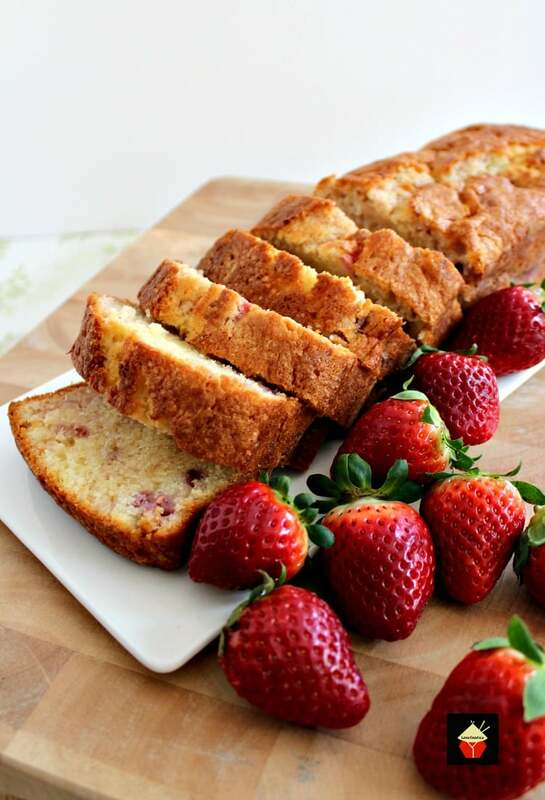 You can also use the same recipe for peaches, apples, pears, berries. The sky’s the limit! If you don’t want to use coconut (say if you are using apples), then simply swap the coconut milk for regular milk. 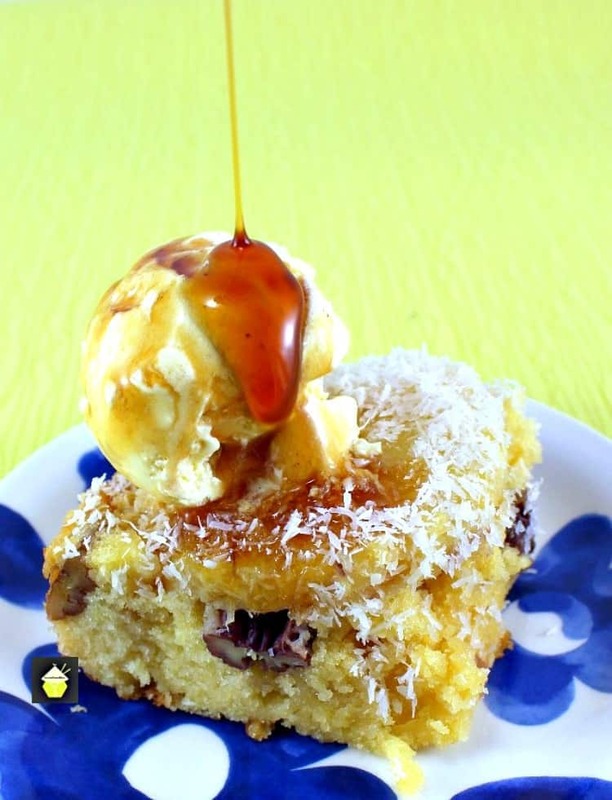 My Coconut, Pineapple and Pecan Upside Down Cake is so delicious! It’s got pineapples, like a regular pineapple upside down cake, but I also added an extra flavor of coconut. I think the combination of pineapple and coconut really is quite delicious. For an added texture, I threw in a handful of pecan nuts. 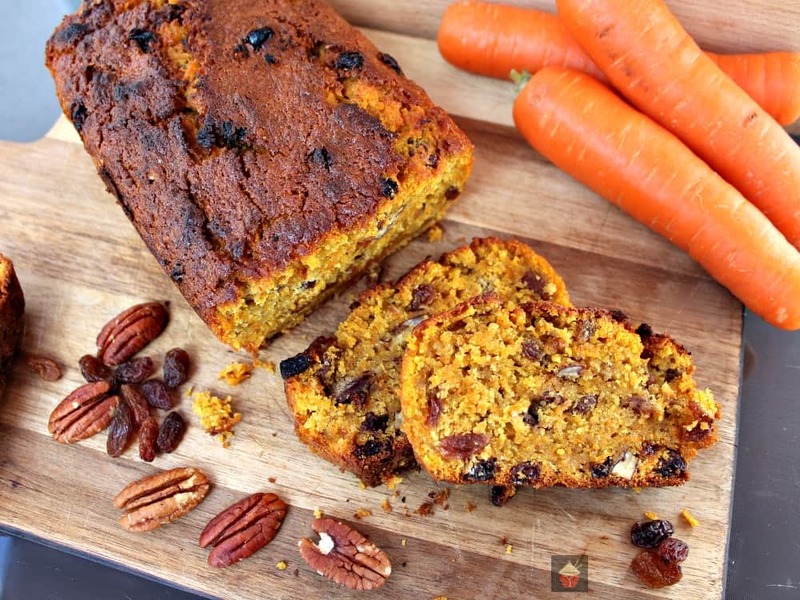 It just gives it a little ‘bite’ to the cake, but it is up to you if you wanted to add a sprinkle of nuts too! Make this recipe as fun as you want, and be brave, you can play around with the flavors, just stick to the ingredients quantities and cook times and you will be fine. 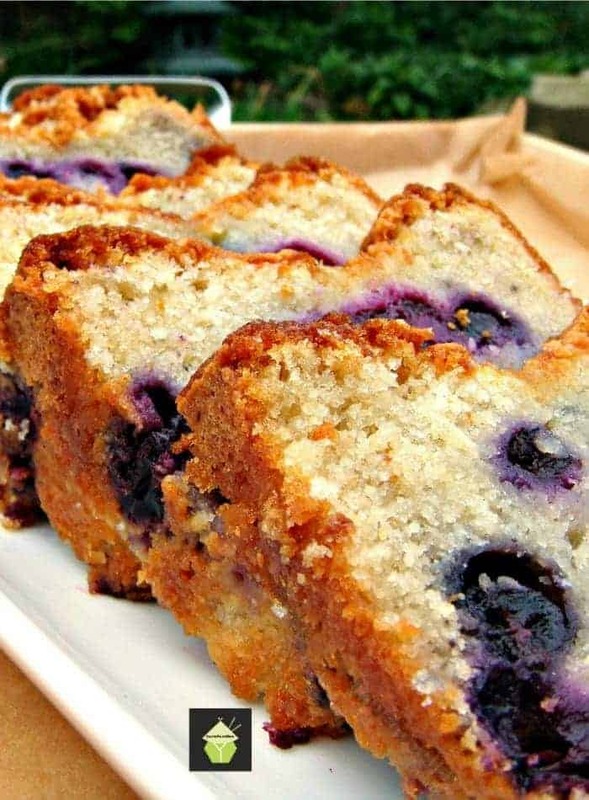 The cake itself is moist and super soft (that is down to the the milk working its magic). 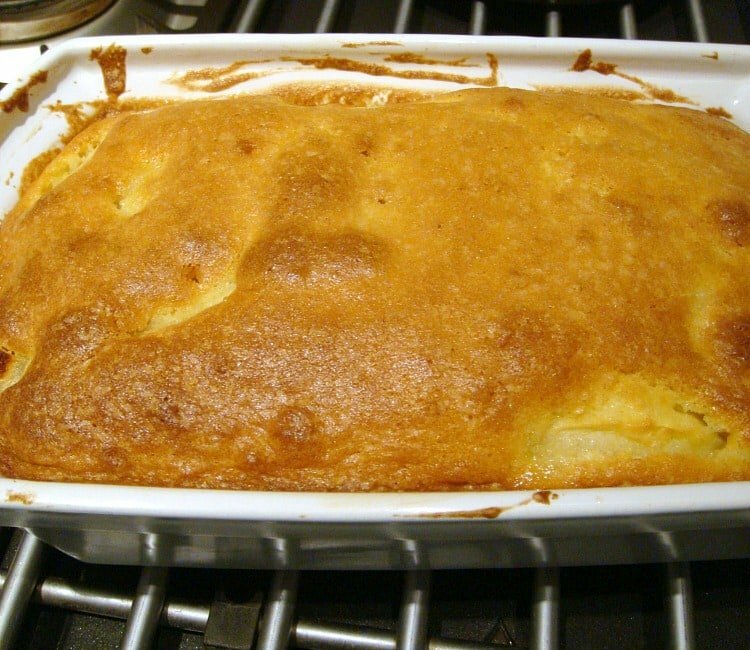 Serve this warm with some ice cream or custard, or eat cold, it’s great either way! … added bonus, it’s freezer friendly too, so if you are cooking for 1 or 2 persons, by all means cut into slices and freeze so you can simply defrost some portions whenever you fancy! Please enjoy as much as I did! 1. Heat oven to 170 C, 325 F. Grease your dish very well, including the sides. 2. Line the bottom of the dish with the pineapple rings, then sprinkle the pecan nuts on top. Drizzle all over with the pancake syrup. Set aside. 3. Make the cake batter – Cream butter and sugar until light in color and fluffy. Add the 2 tablespoons of shredded coconut. 4. Beat in the eggs slowly, adding a little flour as you add the eggs. Then gradually add the coconut milk, stirring all the time. 5. Add the remaining flour and gently fold to incorporate everything. 7.. Place in the oven for 30 – 35 minutes. Test if it’s ready by inserting a metal skewer into the center of the cake. If it comes out clean, the cake is ready! 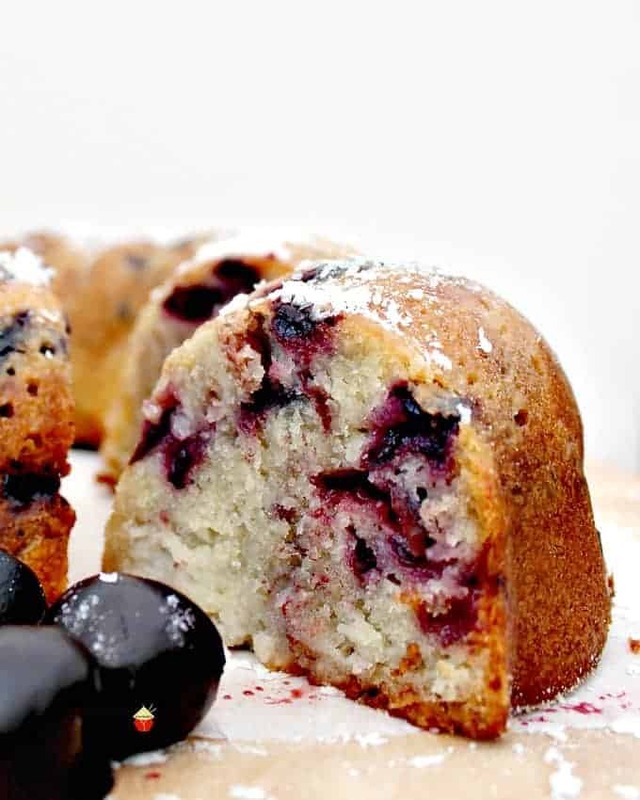 Allow the cake to rest for 10 minutes before turning upside down on to a serving plate. 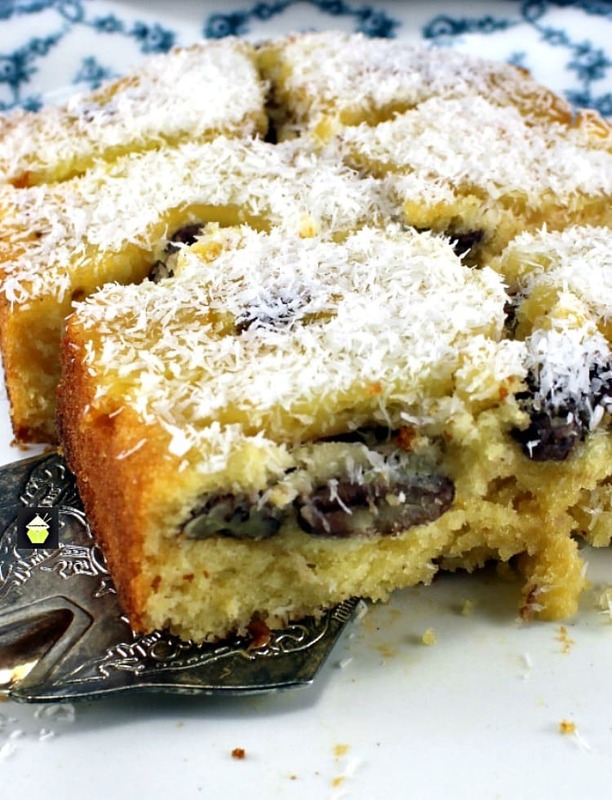 Sprinkle with the remaining shredded coconut, slice and enjoy! Serve with a dollop of ice cream, pour custard or just eat on it’s own with a cup of tea. 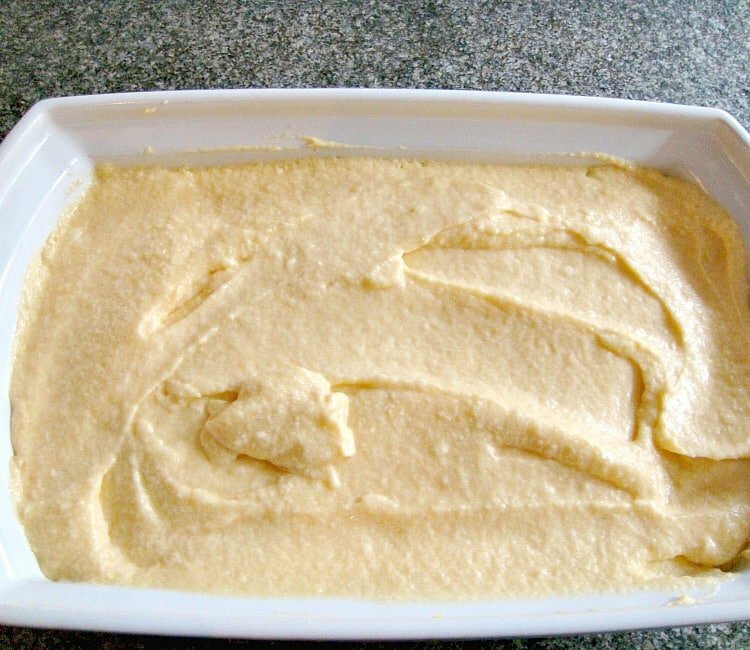 Click here to see how to make Home Made Custard. Sprinkle with some more coconut over the top. Oh boy! So soft and ..well…. simply delicious! 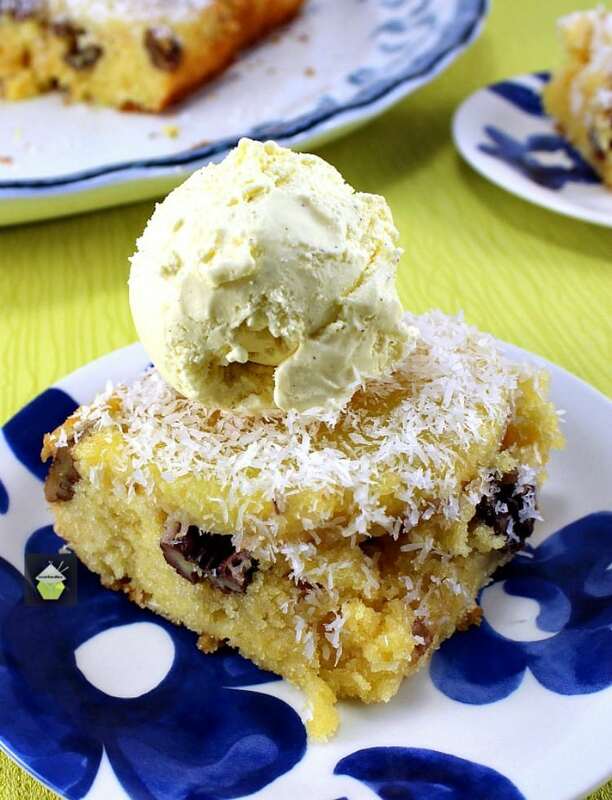 We’d love to hear from you and what you thought of our Coconut, Pineapple and Pecan Upside Down Cake recipe. Did you make any changes or add some other goodies? Let us know in the comments below. Thanks for reading and happy cooking! 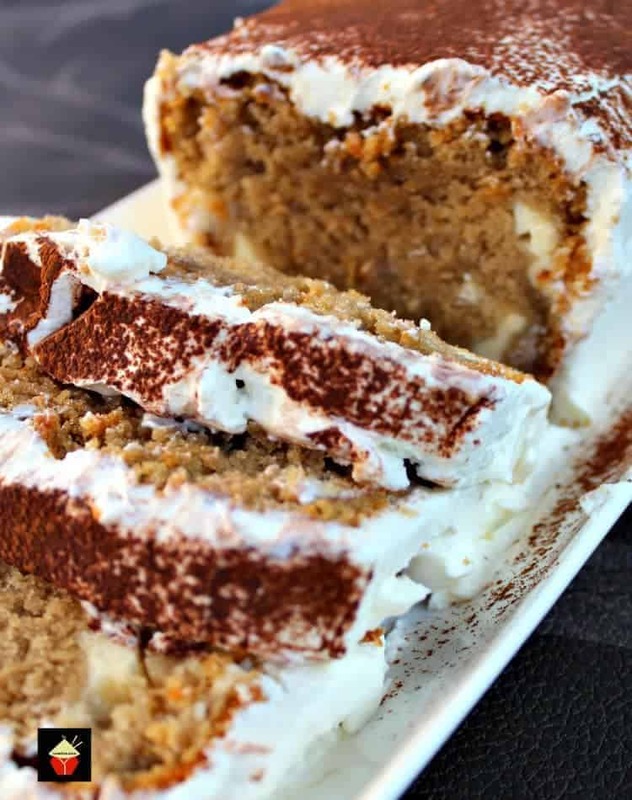 Here are a few more cake recipes for you to enjoy! Heat oven to 170 C, 325 F. Grease your dish very well, including the sides. Line the bottom of the dish with the pineapple rings, then sprinkle the pecan nuts on top. Drizzle all over with the pancake syrup. Set aside. 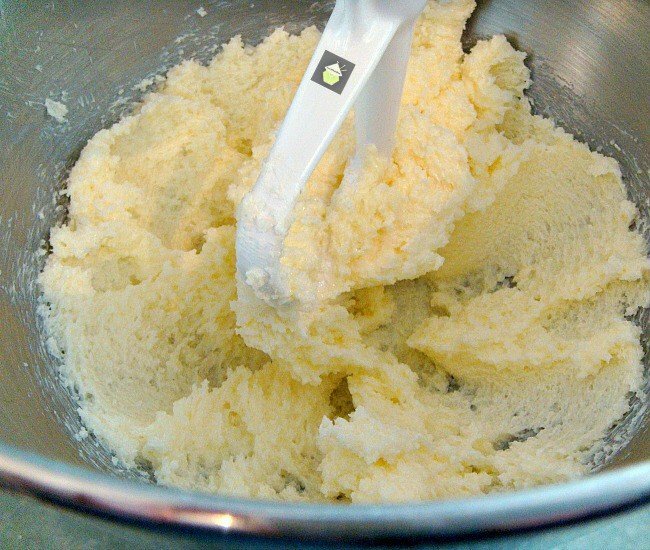 Make the cake batter - Cream butter and sugar until light in colour and fluffy. Add the 2 tablespoons of shredded coconut. Beat in the eggs slowly, adding a little flour as you add the eggs. Then gradually add the coconut milk, stirring all the time. Add the remaining flour and gently fold to incorporate everything. Place in the oven for 30 - 35 minutes. 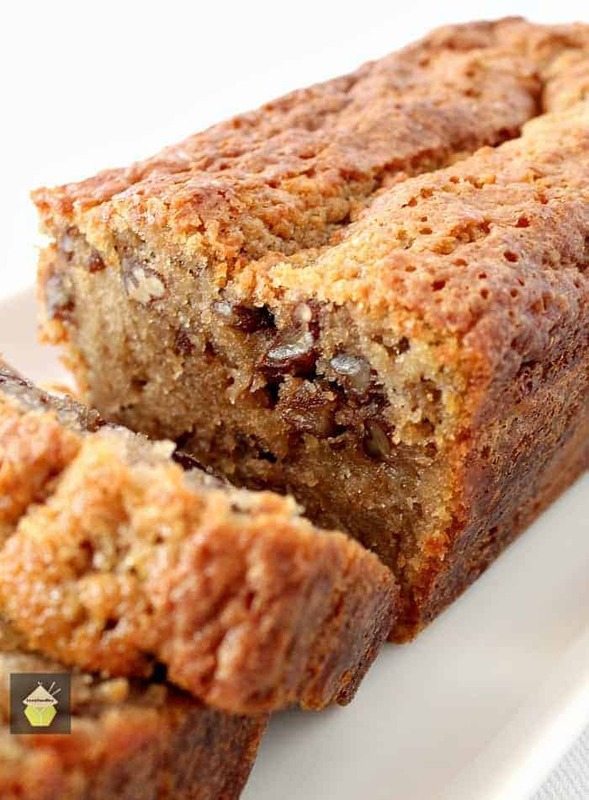 Test if it's ready by inserting a metal skewer into the center of the cake. If it comes out clean, the cake is ready! Allow the cake to rest for 10 minutes before turning upside down on to a serving plate. 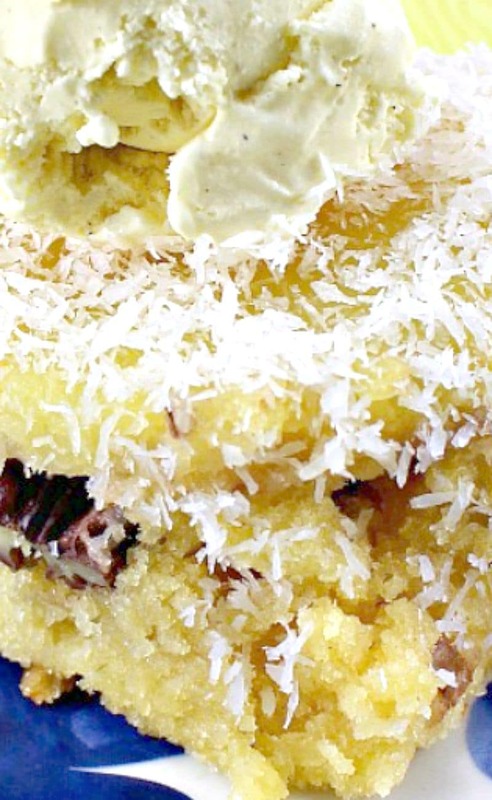 Sprinkle with the remaining shredded coconut, slice and enjoy! Serve with a dollop of ice cream, pour custard or just eat on it's own with a cup of tea. Thank you very much for this recipe .It was a hit .So delicious.I only increased the syrup by 2 Tbsp and we all loved it . for sure this recipe is one of my best to keep. Thank you again.